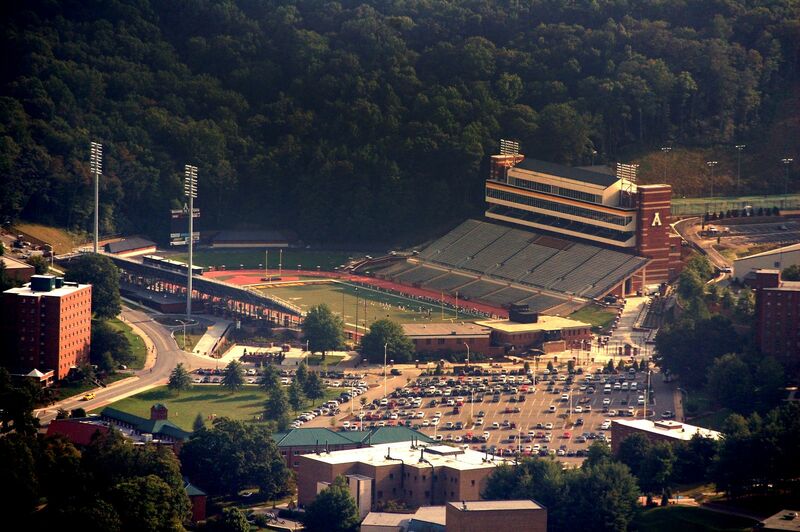 Located beside one of many hills around Boone, this multi-use stadium of the Appalachian State University is among the highest in USA. Its field lies at 1,016 meters (3,333 feet) above sea level. And maybe the mountain location is why it’s such a hard stadium to conquer for rivals. Local NCAA football side Mountaineers earned it “The Rock” nickname with their performances. Upon opening in 1962 it was suitable for 10,000 people, but that capacity has grown over twice since then. By 1978 it was 18,000 and currently, after a series of further remodeling efforts stands at 24,000+. Greatest redevelopment to date happened in the 2006-2009 period, when the west side received new extensive facilities for sportsmen, press and corporate guests. Those include 18 private skyboxes, 2 lounges and 500 business seats above regular seating. East side of the stadium saw its new upper deck added in that period. But even that proved short of demand, so in 2011-2012 part of the running track was covered with temporary seating behind the south end. Upon opening the stadium was named after William J. Conrad, university trustee and entrepreneur, but later had the name changed to honour Kidd Brewer, legendary coach. 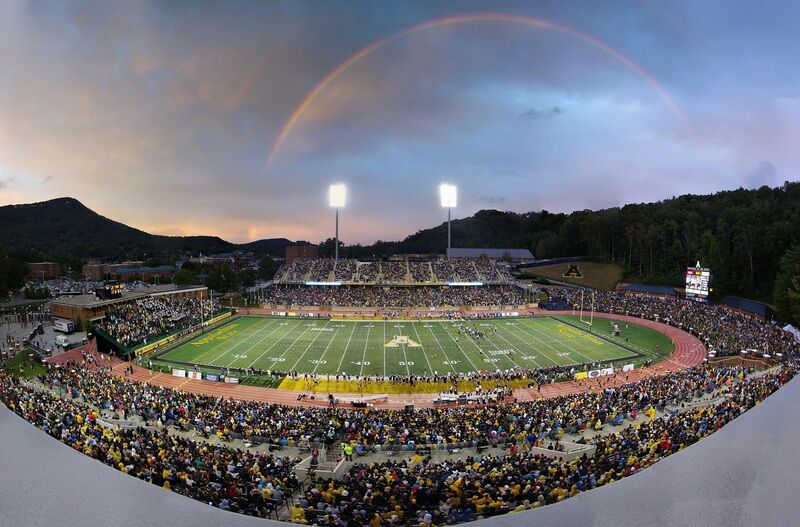 During Brewer’s leadership the Mountaineers set records in performance, going through a season unscored against or losing only 3 games in 4 seasons. From 2002 to 2007 the team also ran a streak of 30 consecutive wins (! 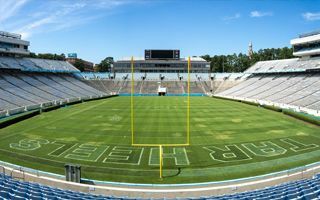 ), thus strengthening the stadium’s nickname.